How do I take an error screenshot? If you’ve got a problem with a program in Windows, you may be wondering how to show the errors you’re receiving. Luckily, taking a screenshot of your current display is just a quick keystroke away. Follow this guide to take a screenshot of your whole screen, a specific window, or any section of the display you want. 1. Press the "Print Screen" (⎙ PrtScr) key on your keyboard. This will capture an image of your entire screen and copy it to the clipboard. The dimensions of the image will be the same as your desktop resolution. 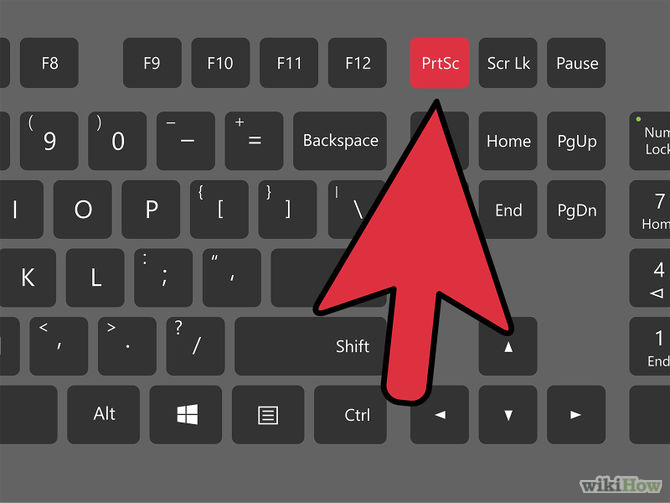 The ⎙ PrtScr button may be labeled "PrtScn", "Prnt Scrn", "Print Scr", or something similar. On most keyboards, the button is usually found between F12 and Scroll ⇩. On laptop keyboards, you may have to press the Fn or "Function" key to access "Print Screen". You will not receive any confirmation that the screenshot has been taken. 2. Paste the screenshot. Once you’ve made the screenshot, you will need to paste it to a program in order to see it. The most common way to paste it is into a Paint file. This will allow you to save it as an image file that can be transferred to others. Open Paint from the Accessories section in your Start menu. With a new blank canvas open, press ^ Ctrl+V to paste the image onto the canvas. 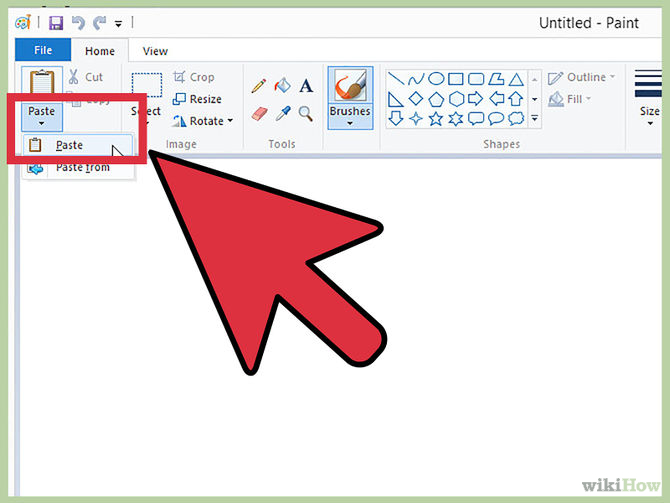 You can also open the Edit menu and select Paste, or right-click on the canvas and select Paste. Click File, then Save to set the name and file type of the image. The most common file types are JPG and PNG. The recommended format for screenshots is PNG, due to the high quality and small file size. 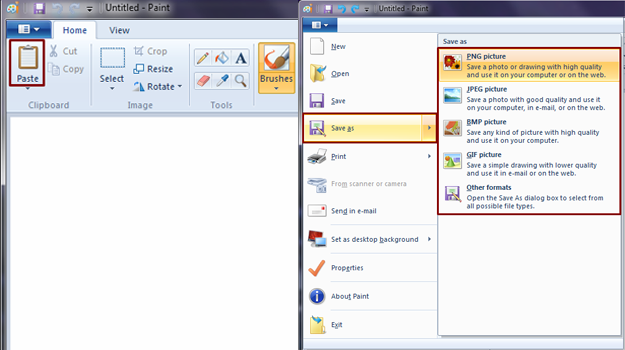 You can also paste the screenshot into other programs, such as Word or into the body of an email. Simply open the program that you want to paste the image into and press ^ Ctrl+V. 3. Save the screenshot: Perform any edits you want, such as cropping the image to a specified area, and click the main File option in the top-left corner. Afterward, select Save as, title the new file, choose a save location, and select your desired file format from the drop-down menu. For most purposes, JPG will do fine, but a variety of other formats are available to choose from such as PNG, BMP, GIF, and others. Click the gray Save button in the bottom right-hand corner when finished.